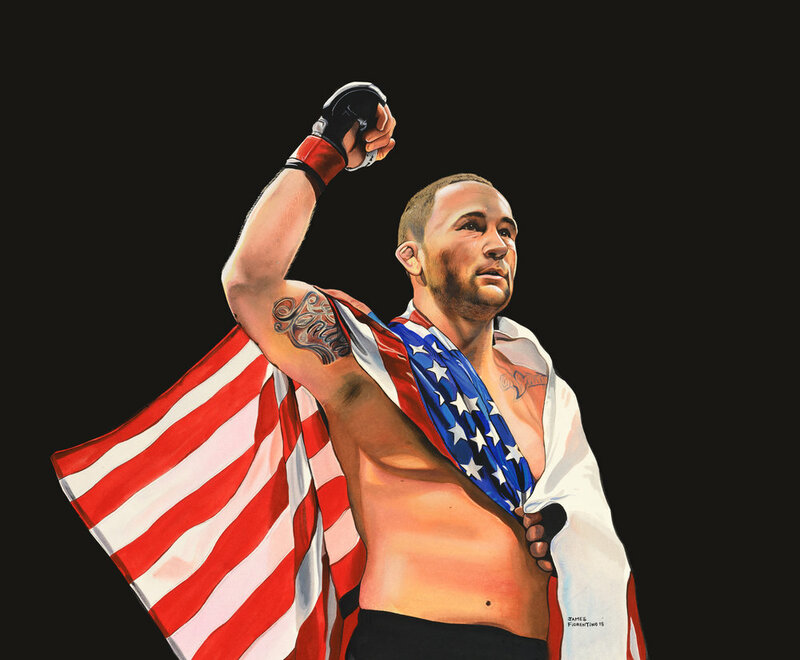 James created an original painting that will be made into limited edition giclees that will be sold to raise money for Rebuilding Warriors. 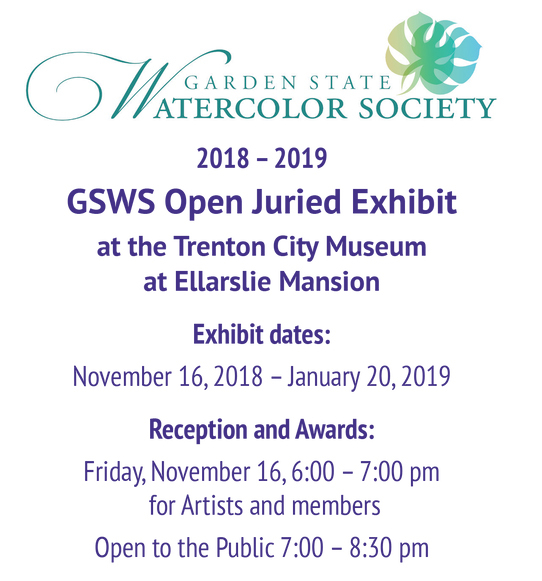 My original watercolor painting “All is Calm” has been accepted for the 2018 Members Exhibition at the Hunterdon Art Museum. 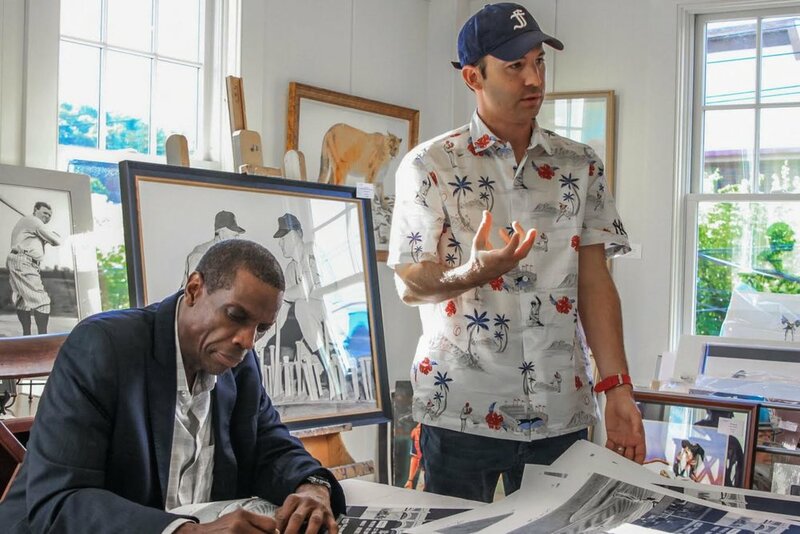 Artist Receptions September 7 and October 5, Friday 6:00 p.m. – 9:00 p.m.
James created a painting for the the Landon Collins Celebrity Softball Game with over fifty current and former Giants in attendance. James is photographed here with Landon Collins and Saquon Barkley. 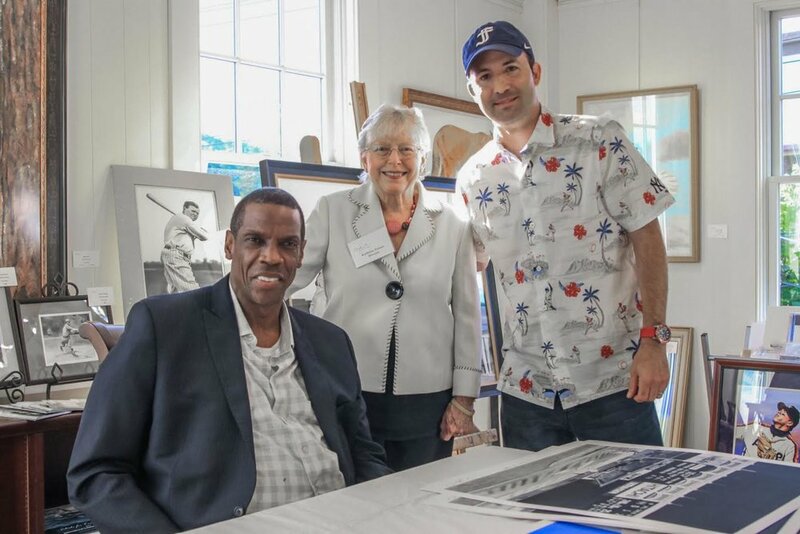 James hosted along with Studio 7 a celebration of baseball with Mets great Doc Gooden and former umpire Al Clark to celebrate baseball and art. The private party debut James’s original artwork of Doc as both a Met and Yankee. Limited edition giclees are now available signed by Doc from his 1985-86 seasons and his No-Hitter as a Yankee. 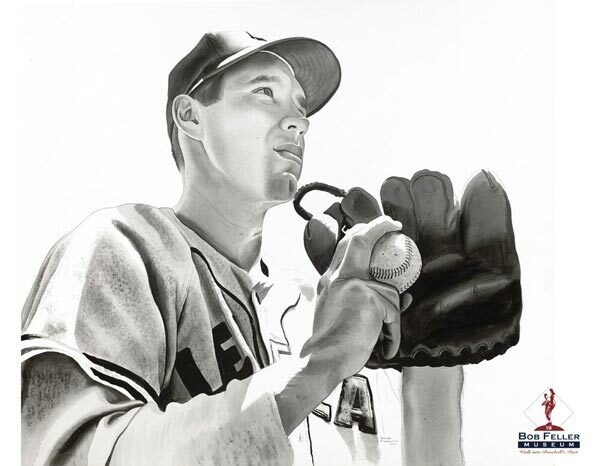 Limited edition giclees of Al Clarks greatest moments in baseball history are available in the store. James honored his friend Sparky Lyle at the Somerset County Parks Commissions Celebrity golf outing. 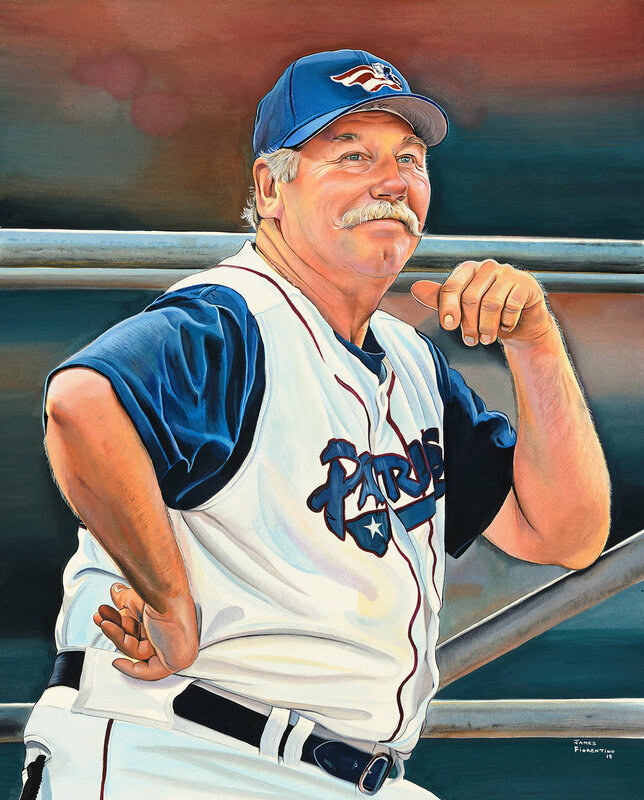 Sparky was honored for his service to Somerset County and James presented a painting of him depicted as the Somerset Patriots manager. 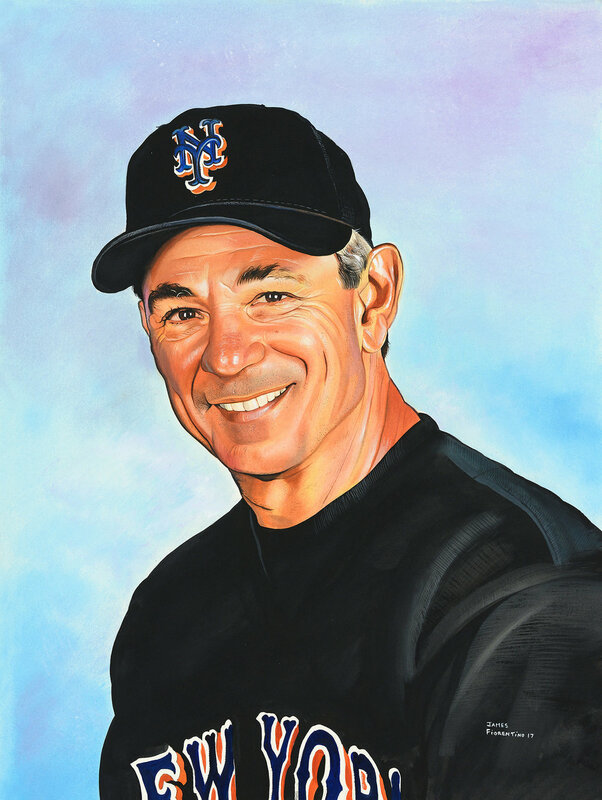 Lebanon, NJ-Nationally recognized artist James Fiorentino will take part in a celebration of baseball at RC Collectibles, 1060 Rt 22 W Lebanon, NJ 08833 on Saturday May 5 , 2018. 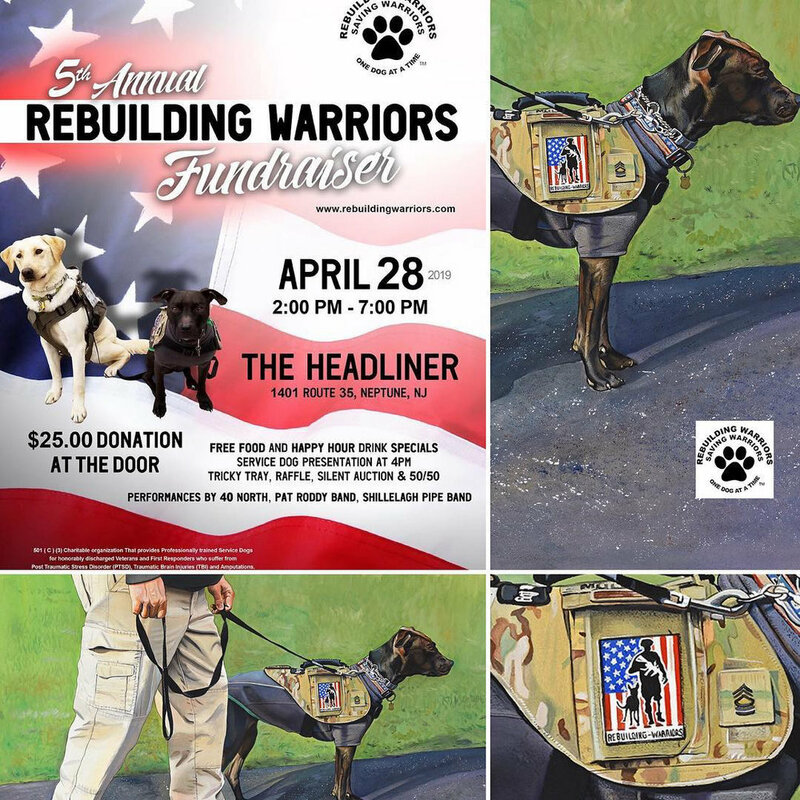 Doors will open at 12 pm and the festivities will take place all day with prizes, silent auction and the unveiling of James’s new original artwork “Iconic History Called by Al Clark” commemorating the career of veteran Major League Baseball umpire Al Clark. 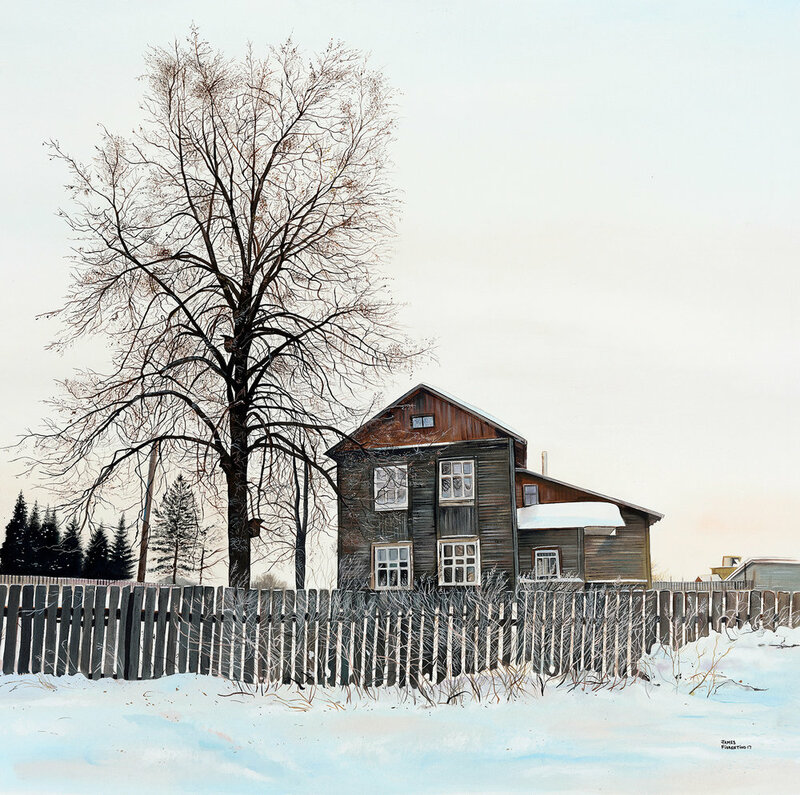 The original painting has been made into limited edition giclees (available in store) that will be signed by James and Al who will also inscribe each moment with the date and description that he was there. The moments include Bucky Dent’s famous home run in Fenway Park, Dave Righetti’s no hitter at Yankee Stadium, Randy Johnsons first no hitter, Nolan Ryans 3ooth win, Cal Ripken Jr’s 2130 and 2131 game and the 1989 World Series (Earthquake series) final out. 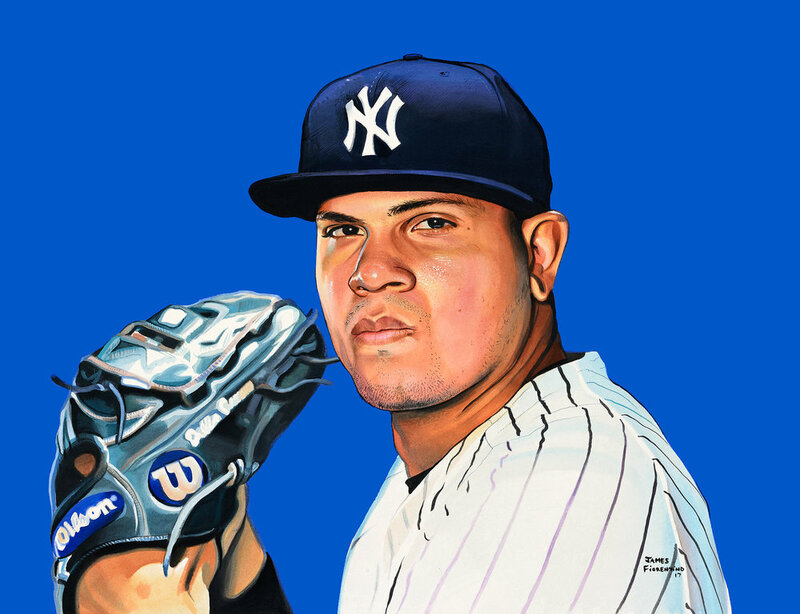 The artwork depicts a quarter century of some of the most iconic baseball moments. This is a very unique piece that James has created and will be available for the first time at RC Collectibles. “When one thinks about a 'Professional' at the top of his or her 'game', one knows that total quality is at bay. This is what I found so totally accurate working with wildlife and athlete artist James Fiorentino. From the inception of an original idea, to the sketches he puts on paper, to the commitment to excellence of the finished product being so unique and down right good, it's no wonder so many awards have been bestowed upon this so talented artist. From an umpire's perspective, James worked a whole season and didn't miss a play...from a player's perspective, his work is like hitting a game winning grand slam home run...like every day!” Al Clark umpire 1976-2001. 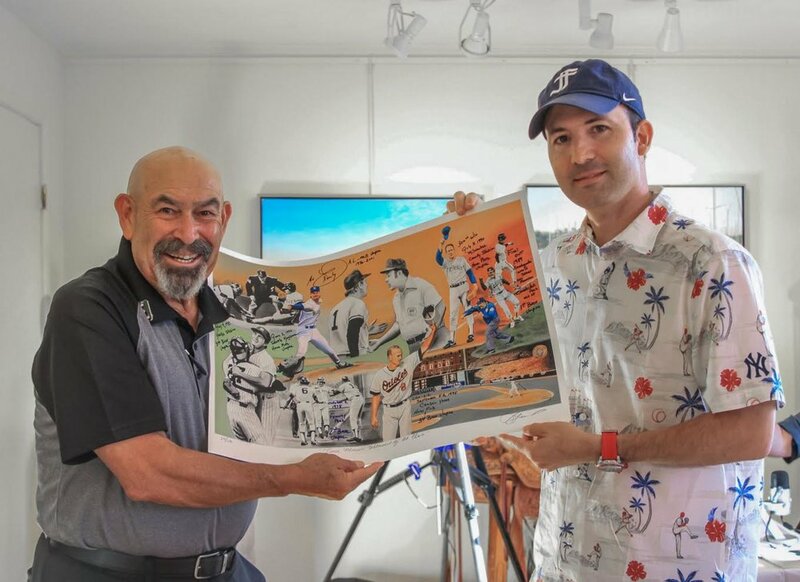 In addition to the signing there will be a special talk with Al and James about the paintings most famous moments and their stories of baseball. The signing will take place from 4-5 and talk -reception from 5-7 with food and drinks being served throughout the day. Some of the proceeds from the event will benefit BEST scholarships. 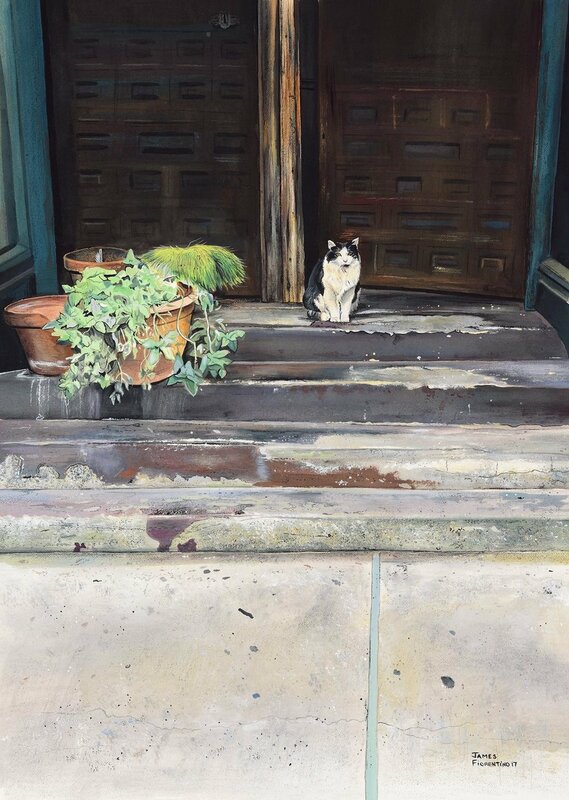 “I am honored to be showcasing my paintings at Casa Colombo this year. I am also very proud to be an Italian American and be recognized for it through my artwork. In recent years I have been involved with helping many Italian American organizations and I know my family is very proud." 1) To honor Casa Colombo's place in immigration history by maintaining its historic building and by displaying historical materials and interpreting them for a culturally diverse population in Jersey City and Hudson County. Kicking off its inaugural event last year honoring National Baseball Hall of Famer Mike Piazza at Carmine’s Restaurant and Sports Bar in Brooklyn, New York, the Italian American Baseball Foundation (IABF) has set out to make this year’s festivities better than ever by presenting guest of honor Bobby Valentine with a commissioned portrait of the Italian American baseball legend from internationally-renowned sports artist James Fiorentino. In addition, IABF Executive Gary Perone will be honored for the invaluable contributions he has brought to the game. On December 7, 2017 IABF Board Members Joe Quagliano, Fabrizio De Robbio, Carmine Gangone and Michael DeSapio promise to deliver a once-in-a-lifetime opportunity to enjoy a star-studded cocktail reception beginning at 6:30 pm followed by a delectable authentic Italian dinner attended by some of MLB’s best past and present players including: Frank Catalanotto, John Franco, Jeff Nelson, Francisco Cervelli and Brandon Nimmo. New York Mets announcer Wayne Randazzo will serve as the emcee for the evening, and guests in attendance will be treated to an unforgettable performance from Italian Tenor Sal Spatola. Federazione Italiana Baseball Softball (FIBS) president Andrea Marcon and Team Italy manager Gilberto Gerali will address attendees with their call to action in preparation of the 2020 Olympics. The IABF is a 501(c)(3) charity founded by former Italian American MLB favorite Frank Catalanotto, Mint Pros president Joe Quagliano, FIBS executive Marco Landi and critically-acclaimed restaurateur Carmine Gangone. Gangone will once again host this monumental evening at his family-owned Brooklyn restaurant that was opened nearly 40 years ago by his Italian immigrant father from Salerno. All fundraising dinner proceeds will support youth baseball in Italy by building and maintaining ball fields, awarding student-athletes with scholarships and financial aid, purchasing uniforms and equipment as well as organizing pitching, fielding and hitting clinics with MLB instructors under the guidance of FIBS. 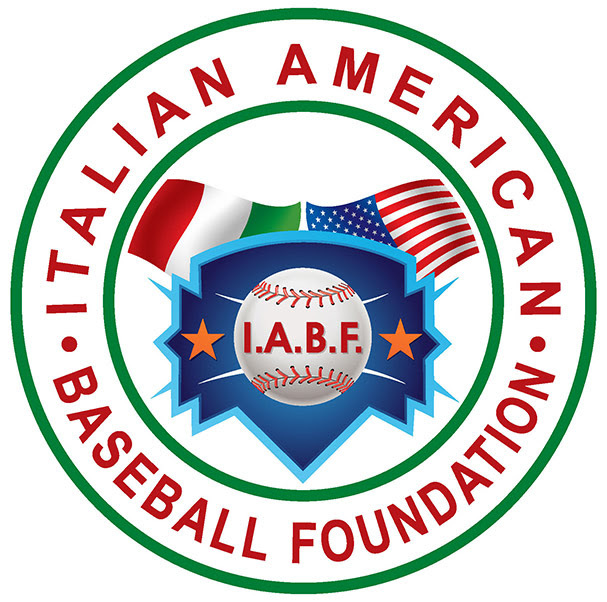 The Italian American Baseball Foundation is a community of fans, MLB players, and baseball executives dedicated to the future of Italian American baseball in Italy and the USA. Opening Day/Night Reception: Saturday, October 14 from Noon - 8:00 PM. Bergino Baseball Clubhouse • 67 East 11 Street, The landmark Cast Iron Building, Greenwich Village NYC. An art show unlike any we have curated before. Nearly two dozen original watercolor paintings. All in black and white. Larger paintings -- and unique smaller pieces. Featuring prominent figures throughout baseball history, from 20th Century legends to the stars of today. James Fiorentino’s “Baseball in Black and White” watercolor artwork will be on exhibit and available for purchase in the Bergino Baseball Clubhouse from October 14 - December 24, 2017. At the Opening Day/Night Reception: complimentary beer, beverages, ballpark snacks. 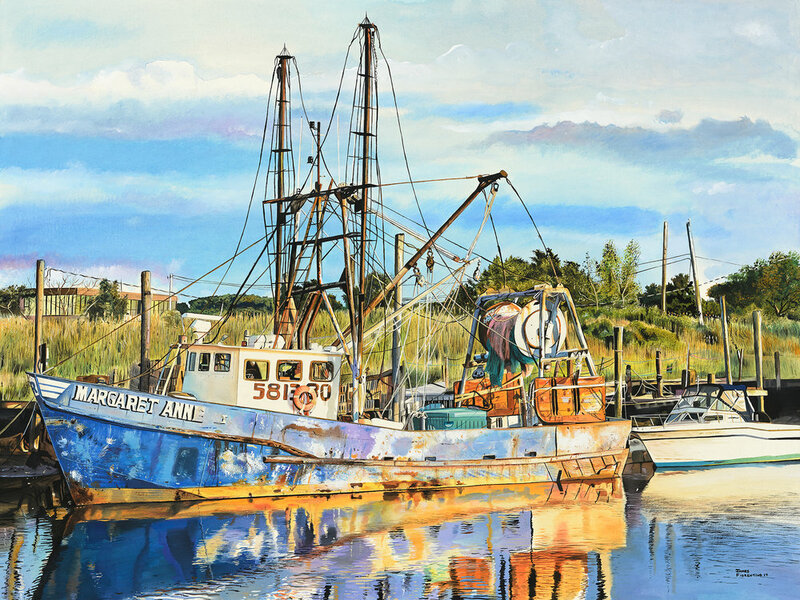 The Margaret Anne" is a 22 x 30 watercolor painting I created this year (New Jersey scene) that will be hanging at the Historic Salmagundi Club July 10-27 for their Nautical Exhibition. 24th Newton Plaza & Marini Homes Siro’s Cup, the unofficial kick off of the thoroughbred racing meet at Saratoga Race Course, held on the eve of opening day. 2017 National Museum of Racing and Hall of Fame Inductee Javier Castellano will be the evening’s honoree. Castellano won the 2017 Preakness Stakes on Cloud Computing, and is a four time consecutive winner, (2013-2016) of the Eclipse Award for Outstanding Jockey. James Fiorentino will be presenting Javier an original painting of him winning the Breeders Cup Classic in 2004 on Ghostzapper. Limited edition giclees will be available signed by Javier to benefit the Center. Celebrating the Grand Opening of the Lion and Hyena Exhibit at Turtle Back Zoo-June 9, 2017. James has created original artworks to celebrate this wonderful occasion with he Zoo. 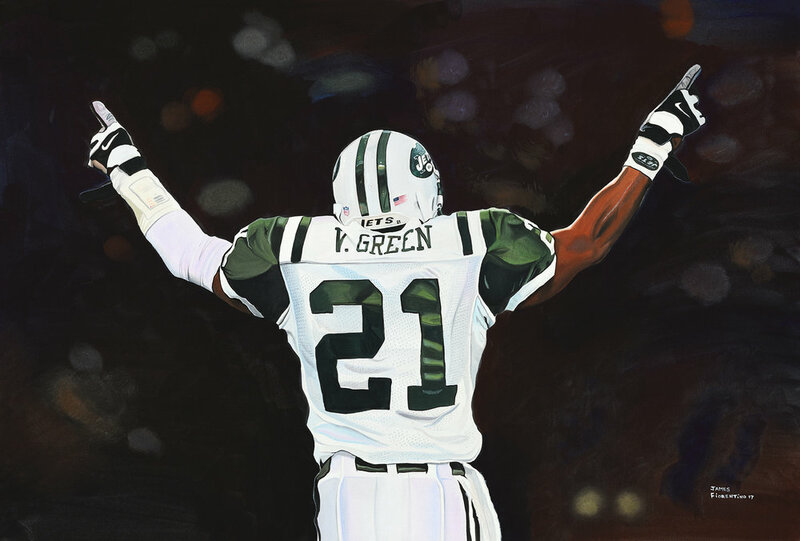 James has created an original painting of former Jets safety Victor Green to be auctioned off to benefit the Victor Green Foundation. The celebrities in attendance including many Hall of Famers will sign the original artwork.